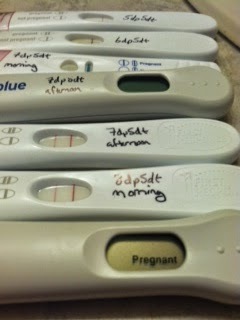 IVF patients are understandably very excited when their pregnancy test comes back as positive . They are on top of the world that their IVF cycle has succeeded and that all their hard work and effort has paid off . They now start dreaming about the baby they can look forward to holding in their arms in a few months . However, the reality is that even though the terrible 2ww has ended, you are now beginning another grueling two-week wait. You still can’t afford to be complacent, because not all pregnancies have a happy ending. While a positive pregnancy test confirms you are pregnant, you still don’t know if the pregnancy is healthy; or if it is in the uterus. While most pregnancies will result in a baby, we do know that about 10- 20% of pregnancies will fail. This is true for all pregnancies, not just IVF pregnancies. Some IVF pregnancies are at a higher risk for a poor outcome , and this is especially true for older women, who have a much higher risk of miscarriage, as compared to younger women. This is why IVF pregnancies need to be monitored carefully , to make sure that everything is progressing well. Initially, serial blood tests are done every 3 days, to check that the HCG levels are doubling; and once the HCG level is more than 1000 mIU/ml, then vaginal ultrasound scans are done to confirm that the pregnancy is in the uterus and is growing well. IVF patients understandably have many worries when they are pregnant, because this is such a precious pregnancy. They are petrified when they have cramping, or spotting and bleeding, because they are scared they may lose the pregnancy. Ironically, many of them worry even if they don’t have any symptoms, because they believe that all pregnant women are meant to have morning sickness, and that the absence of symptoms means that there’s something wrong with their pregnancy. When your HCG blood test is positive, this means you are pregnant. However, the initial diagnosis is PUL, or pregnancy of unknown location, which means we don’t know if the pregnancy is healthy or not. The pregnancy needs to be monitored so that you can be reassured it is progressing well. Otherwise, the games your mind will play with you can drive you around the bend ! Some pregnancies are destined to fail. They may end up as a miscarriage, or as an ectopic pregnancy. IVF patients find it hard to understand how they can have an ectopic, especially if their tubes are blocked. Remember that even though we transfer your embryos into your uterus, we cannot stop them from travelling out of the uterus into your fallopian tubes. Even if you are unlucky and your pregnancy fails, please be kind to yourself. Nothing you can do can affect the outcome, because the commonest reason for a miscarriage is a genetic abnormality in the fetus, and this is Nature’s defense mechanism, to prevent the birth of an abnormal baby. While these defects are often random, they are commoner in older women. This is because the eggs of older women have more genetic abnormalities, because they have “aged” and have genetic defects, which cannot be screened for. The silver lining in the cloud is the fact that you have conceived ( even though you did miscarry) means that your chances of having a healthy baby in the future are excellent. Want to make sure your pregnancy is progressing well ? Please send me your medical details by filling in the form at www.drmalpani.com/malpaniform.htm so that I can guide you better ! TESE which is the best technique ? Free IVF app to improve IVF success rates ! Free app for IVF patients ! Just relax and you will get pregnant ! What do IVF patients want ?